Tax Purpose Company is dedicated to step in for small business owners provide Financial Statements Melbourne. We take on their accounting and tax services to allowed time for them to concentrate on how best to grow their businesses. We are a leader in business services in and around the Melbourne metropolitan area. You will eliminate Over-Paying or Under-Paying your income taxes or payroll taxes. Protect your business from tax liabilities. We will help you reduce your expenses and taxes and maximize your profits. We will keep business records accurately and interpret your financial information that allows you to make achievable business decisions. A financial statement is a practice which is organized by every organization or business to scrutinize and assess the organization’s financial performance in the previous financial year. Complete financial reports would provide the organization an analysis of how the organization executed. 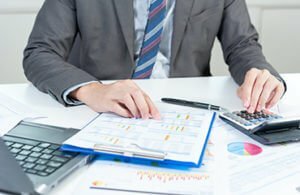 An organization can find out if its operation was good, excellent, satisfactory or poor with the assistance of efficient financial reporting services.